Daniel is married to Tania and they have 2 children, Layla and Jacob. 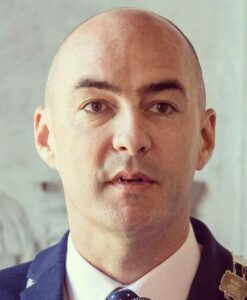 He has served as a Councillor for the area since 2014 and is currently the Metropolitan Mayor of Limerick. Daniel has worked tirelessly for his community over the last 5 years by being innovative in his approach, bringing a new standard to local politics. His focus has been on being accessible to his constituents and active on the ground, working alongside his neighbours, to deliver results. Daniel is a member of a number of organisations committees including Mungret Community College BoM (Chairperson), UL Board of Governors, St. John’s Hospital Board of Governors, Chairperson of My Mind Limerick steering committee, and much more. Daniel cares about local business, local accessible education & housing, public space and park provision, public transport, community safety, protecting our environment to support our health & wellbeing.